Size: 40 cm in length from the beak to the tip of the tail. Affectionate and friendly, the Rose-Breasted Cockatoos have a reputation for being loving pets. 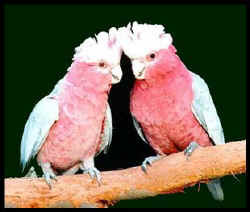 They are sensitive birds, however, and require quite a bit of attention and interaction from their owners. Those interested in owning a Rose-Breasted Cockatoo should make sure that they have plenty of free time to spend with their new pet. Rose Breasted Cockatoo eats parrot mix, cereal seeds, fruit, greenstuff, sunflower seeds, oats, wheat, millet, grass seeds and insects. 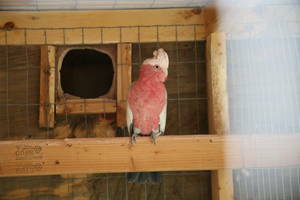 For best breeding, moisten nest boxes regularly. Avoid diet based on sunflower and other oily seeds, which can lead to fatty tumours. Rose-Breasted Cockatoos are active birds, and need plenty of exercise to maintain their physical health. 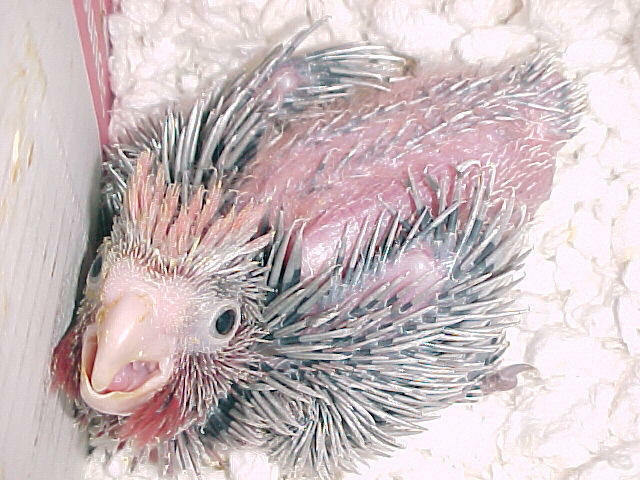 Those who own Rose-Breasted Cockatoos should allow their birds a minimum of 3-4 hours outside of the cage per day, so that the bird can play and stretch its muscles. Cockatoos have strong beaks and jaws, so it's important to provide plenty of safe chew toys for them to exercise their jaw muscles on. 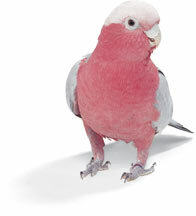 The Rose Breasted Cockatoo is gentle, playful, intelligent and a good talker with loud voice. Compatible with other large species in aviary, or large metal cage with unheated sheltered area. Leaves and twigs carried into nest box, 51 X 52 X 102 cm, entrance 9 cm. Lays 3 to 5 white eggs, incubation 24 to 26 days by both partners, fledging 50 days, still fed and preened another 4 to 5 weeks. Two broods per season common.